iTunes is music and video management software for Apple’s devices. It also handles iOS synchronization and works for iTunes Store. iTunes makes changes every year and some users might not like the updates, for example, that the latest iTunes 12.7.3 removes old tones tab makes troubles for ringtones fans. Besides, iTunes easily runs into unknown errors or issues which are hard to fix. So this tutorial shows you where to download the latest or old version of iTunes for Windows and Mac. Here we provide you with full iTunes download links for Windows 64-bit and 32-bit. Here we provide you with full iTunes download links for Mac OS X versions. If you need the download links for older version of iTunes, please check this link. iTunes is sometimes painful as you can't even simply uninstall it. It will cause lots of leftovers after iTunes uninstallation or you can't remove the related software components. It's supposed that iTunes tends to make it hard to uninstall because they want the users to keep it. This is very unamiable. If you have this demand, you can take advantages of iMyFone TunesFix. 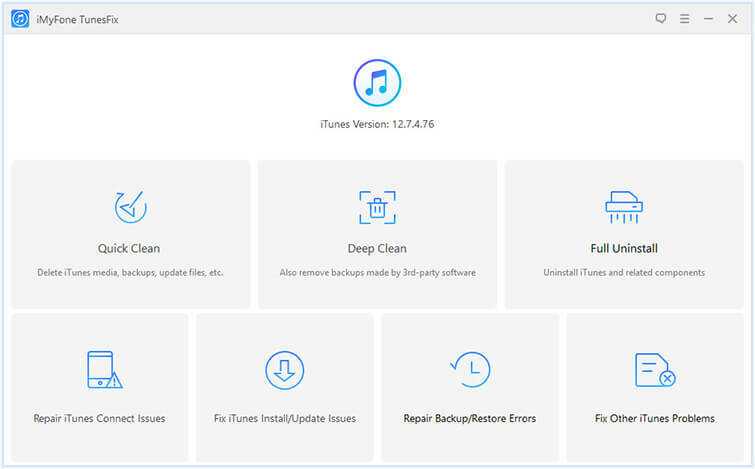 It works as an iTunes repairer and cleaner, which deals with various iTunes issues and errors and cleans your iTunes to release huge space and speed it up. Besides, you can use it to completely uninstall iTunes and any iTunes-related software components, just in one click. Full uninstall removes iTunes and related components without leaving traces to damage your computer. Clean iTunes selectively in bulk or all at once, including media files, old iOS backups, used iTunes/iOS updates, logs, useless cache, cookies and other junk files. Deep cleanup of iTunes also removes iOS backups made by third-party software. Fix various iTunes errors, like erros occurred during iTunes install, updates, backup, restore, etc. Step 1: Of course, running the iMyFone TunesFix. It will automatically detects your iTunes. If your iTunes is wrong, you get the chance to fix it. Step 2: Or you will get to the home interface of TunesFix. There, choose Full Uninstall. 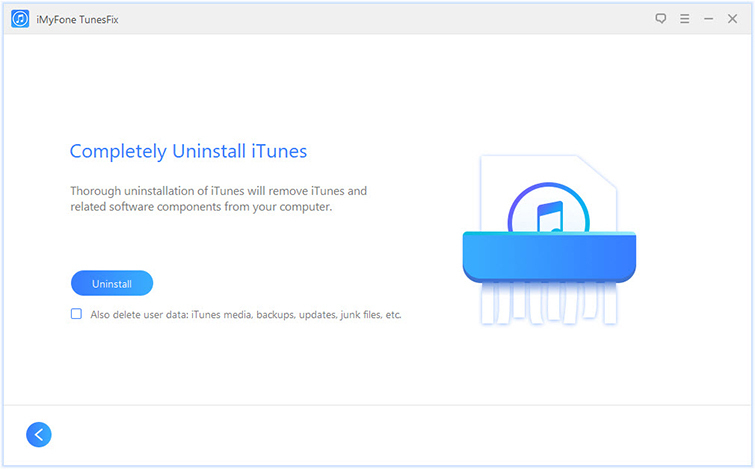 Step 3: Tap "Uninstall" button and it starts the uninstallation process of iTunes and related software components. Note: If you also want to clear user data for iTunes, check the box that says "Also delete user data" before you click Uninstall.